Eight arms make for a lot of lovable activity in this cheerful picture book from the creator of the New York Times bestselling LMNO Peas. 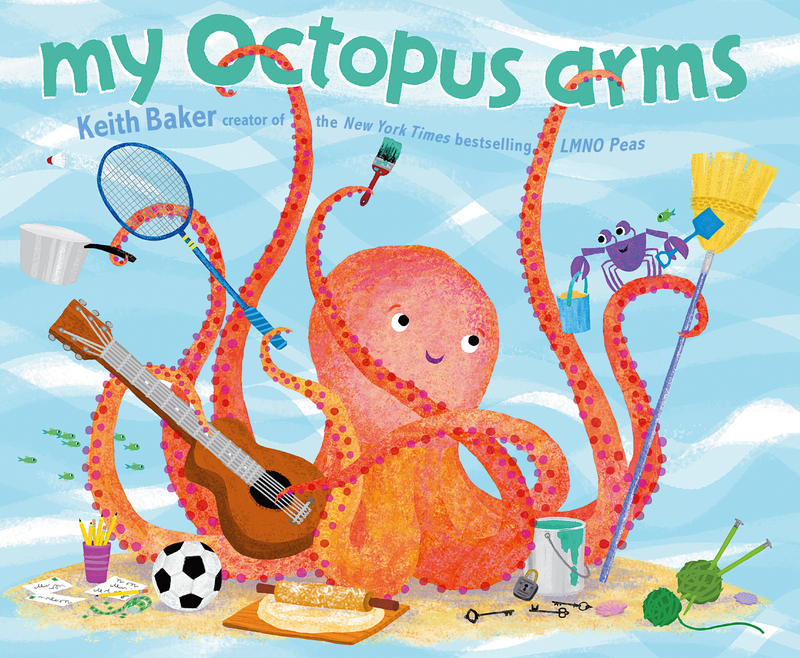 Join a friendly octopus and his crafty crab sidekick as they explore all the wonderful things we can do with our arms. From tying a bow and performing a show to baking a pie and waving good-bye, there’s no limit to the fun. 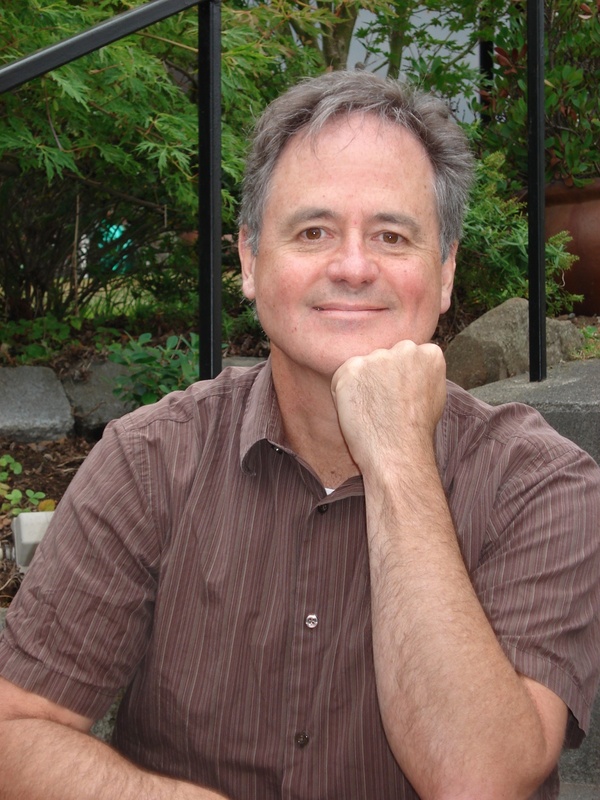 …But what’s the VERY BEST thing we can do with our arms? Why, hugging, of course! And Octopus can’t wait to show little ones how it’s done. “Who hasn’t occasionally wished for more than two hands (or arms) in order to simultaneously accomplish all that one needs to? "In flat, crisp-edged digital art, versatile author/illustrator Baker (LMNO Peas) draws underwater-themed images in contrasting blues and oranges that consider the myriad capabilities of an octopus’s appendages.... Very young children will enjoy working their way through the pictures and talking about the octopus’s unexpected skills (such as playing a guitar, a banjo, and a harp at the same time), and they’ll be soothed by the octopus’s parting words: “With a hug—not too tight!—/ my arms can make it feel all right.”"
"This is a colorful attention-grabbing story with great meaning for young children.... The repeating phrases throughout are a wonderful way to keep the attention of a very young audience. The best part of the book is the color choice and vivid illustrations that complement the story." "A cheerful pink octopus shows all the handy uses for his eight arms, including playing games and musical instruments; contributing to household chores and sporting events; and, most important, providing shelter and comforting hugs.... The lilting beat and rhyming text, along with clear illustrations, make anticipating upcoming words easy for early readers. Like Baker’s earlier LMNO Peas (2010), this picture book has the charm and silliness to appeal to a wide audience."